In the July/August issue of the Adirondack Explorer, a Montana angler writes about falling in love with fishing the Adirondacks. He was introduced to the region by another love, Lisa Densmore, a freelance writer and photographer who grew up in Saranac Lake. 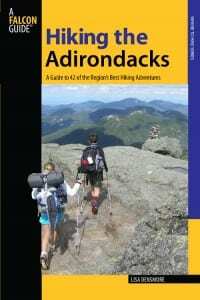 Well, Lisa has just published Hiking the Adirondacks, which describes forty-two hikes from all parts of the Adirondack Park. Released by Falcon Guides, the book sells for $18.95. It can be purchased in stores or online. 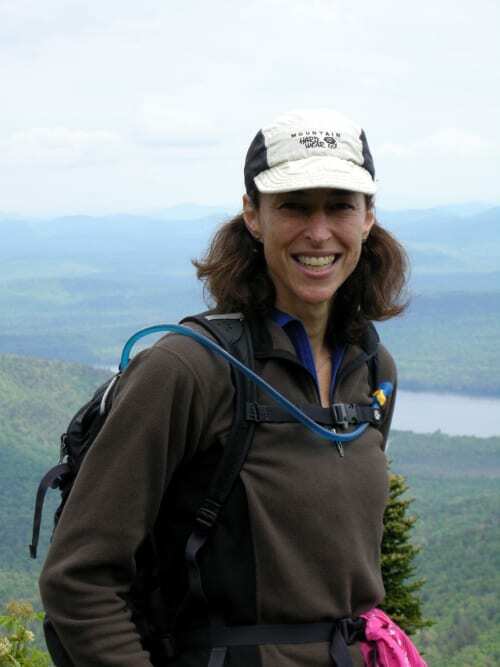 Lisa is more than qualified to offer us advice: she has been hiking in the Adirondacks since she was a young girl. Although she now lives in New Hampshire, she has a summer camp on the Chateaugay Lakes in the northeastern corner of the Park. 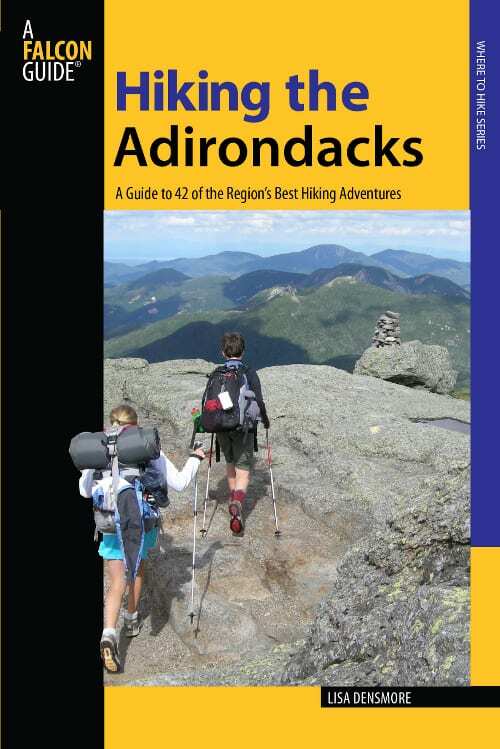 The book carves up the Park into six regions—the same six delineated in the series of guidebooks published by the Adirondack Mountain Club. In a smart move, Lisa subdivides the High Peaks region into two chapters, one for peaks above four thousand feet, the other for smaller peaks. 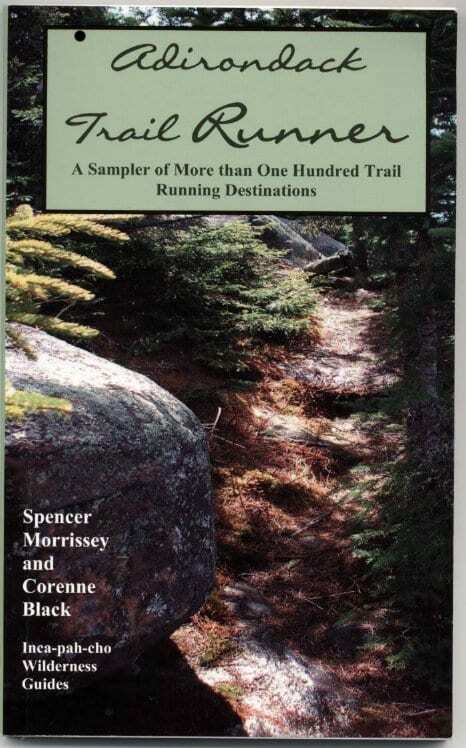 She includes hikes to eleven of the forty-six High Peaks. No doubt people will quibble about her choices. For example, she offers separate chapters on Algonquin and Wright, two neighboring peaks that share the same approach. It would have made more sense to combine them into a single chapter (or drop Wright altogether) and add a chapter on Nippletop or Dix. But this is a minor cavil. Overall, she did a superb job in selecting hikes that are sure to appeal to the general hiker. 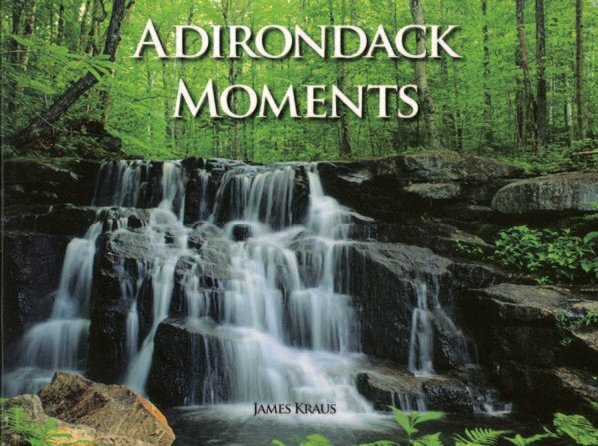 Some of my favorite mountains are in this book: Catamount and Lyon in the northern Adirondacks, Nun-da-ga-o Ridge in Keene, Tongue and Buck near Lake George, Crane in the southern Adirondacks, Vanderwhacker in the central Adirondacks, and Black Bear near Inlet. Not to mention little Baker Mountain in Saranac Lake, which I often climb on my lunch hour. This is not a book for people who prefer flat hikes. With two or three exceptions, all of the hikes lead to summits or lookouts. However, the climbing varies greatly in difficulty. Kane Mountain, for example, entails an elevation gain of just 535 feet. Densmore’s professionalism is evident in both her writing and photography (it’s a shame the inside shots are not in color). I had the opportunity to watch her at work when I tagged along on two of her hikes: the loop over Nun-da-ga-o Ridge and the traverse of Pitchoff Mountain. I can attest that she is a meticulous note taker and observant photographer. Readers will enjoy the fruits of her labor.